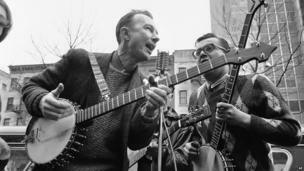 Images of Pete Seeger, folk singer and lifelong political activist, who has died at the age of 94. 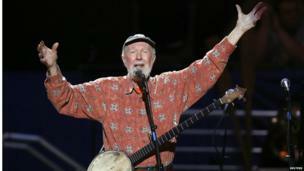 A performer to the last, Pete Seeger performed on stage during the Farm Aid 2013 concert in Saratoga Springs, New York, in September last year. 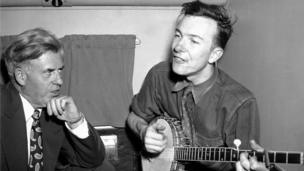 Progressive Party presidential candidate Henry A Wallace [L] was entertained by banjo-playing singer Seeger on a plane in 1948. 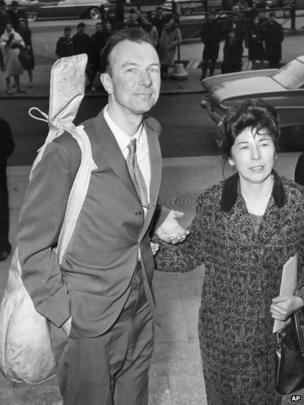 The singer, pictured with his wife Toshi, arrived at court in 1961, charged with contempt of Congress for refusing to answer questions to the House Un-American Activities Committee. 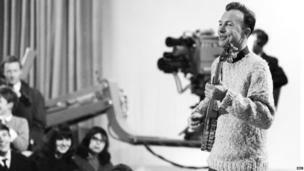 Playing the long-necked, five string banjo that was his trademark, Seeger recorded two programmes for the BBC in 1964. 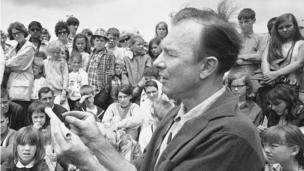 An instrument making session on Children's Day was led by Seeger at the Newport Folk Festival, Rhode Island in July 1966. 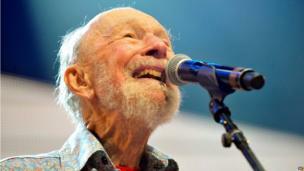 A lifelong political campaigner, Seeger, [L] performed at the Rally for detente at Carnegie Hall in New York in May 1975. 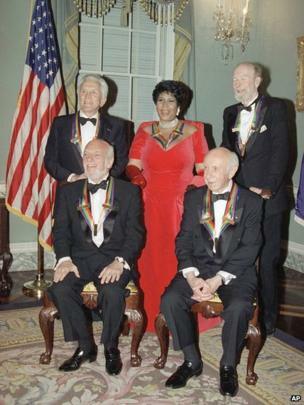 The veteran musician [back right] was with singer Aretha Franklin, actor Kirk Douglas, composer Morton Gould and director Harold Prince at a 1994 dinner at the State Department in Washington. He performed When the Saints Go Marching In during commencement ceremonies for the College of St Rose, in Albany, New York in 2003. 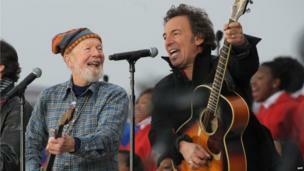 Welcoming Barack Obama to office, Seeger and Bruce Springsteen perform at the We are One Inaugural Celebration on 18 January 2009 in Washington. 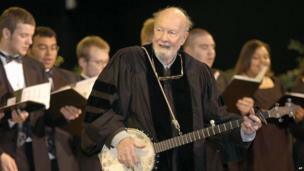 Seeger sang Amazing Grace during a concert celebrating his 90th birthday in May 2009.